Astronomers at The University of Nottingham have released spectacular new infrared images of the distant Universe, providing the deepest view ever obtained over a large area of sky — showing more than 250,000 galaxies, including several hundred observed within the first billion years after the Big Bang. The images are from the final data release from the Ultra-Deep Survey (UDS), which maps an area four times the size of the full Moon to unprecedented depth. Astronomers will use the new images to study the early stages of galaxy formation and evolution. The release of the final UDS images represents the culmination of a project that began taking data in 2005. The scientists used the United Kingdom Infrared Telescope (UKIRT) on Hawaii to observe the same patch of sky repeatedly, building up more than 1000 hours of exposure time. Observing in the infrared is required for studying the distant Universe, since ordinary starlight is “redshifted” to longer wavelengths due to the cosmological expansion of the Universe. 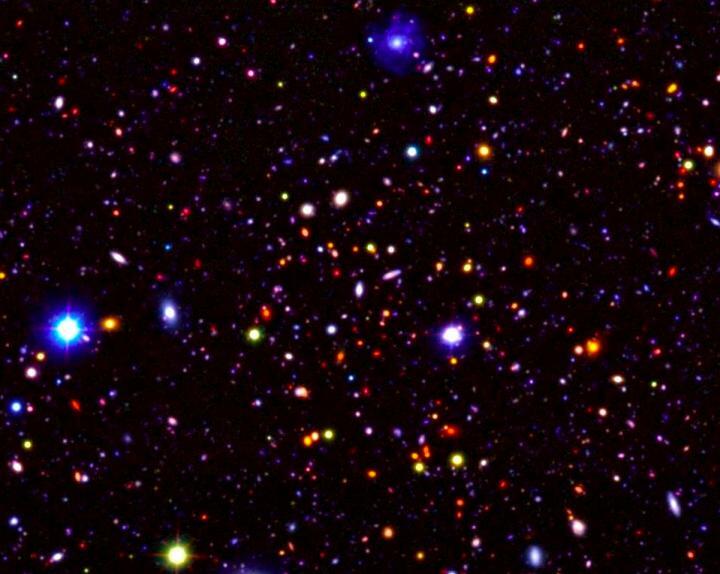 Earlier releases of data from the UDS have already produced a wide range of scientific advances, including studies of the earliest galaxies in the first billion years after the Big Bang, measurements of the buildup of galaxies through cosmic time, and studies of the large-scale distribution of galaxies to weigh the mysterious “dark matter” that pervades the cosmos. David Maltby, PhD, a postdoctoral research fellow at The University of Nottingham, said the scientists are aiming to understand how galaxies evolved to produce the rich diversity we see today.